Okay, Halloween is over. Now it’s time to get rid of the candy and move on to healthier options. Even with Thanksgiving around the corner, you can make healthier choices without being on a “diet”! 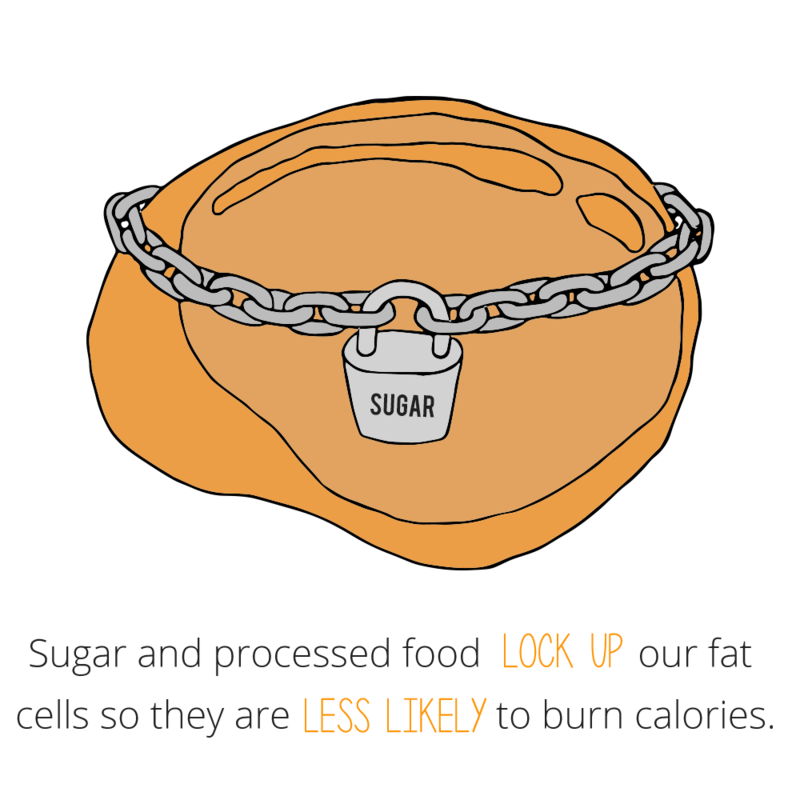 For the biggest impact on your waistline and your health, focus on eating less processed sugar. Eat fruit in its whole form instead of sweets. Sweeten foods with fruit rather than sugar when possible. While pure maple sugar isn’t nearly as healthful as fruit, it’s a much better choice than processed sugar and provides nutrients to help negate the problems associated with a concentrated sugar source. Sugar is the biggest culprit to our waistlines and our health. It’s a concentrated source of empty calories that are more likely to get sucked into building fat cells rather than being used as energy to function. Because these calories are locked in the fat cells and unavailable to be burned for energy, our bodies need food for energy as if we haven’t eaten.  Consequently, we’re hungry and craving more processed carbohydrates to create this cycle again. I want to be very clear: eating whole fruit boosts your health and is the best choice for a sweet tooth. 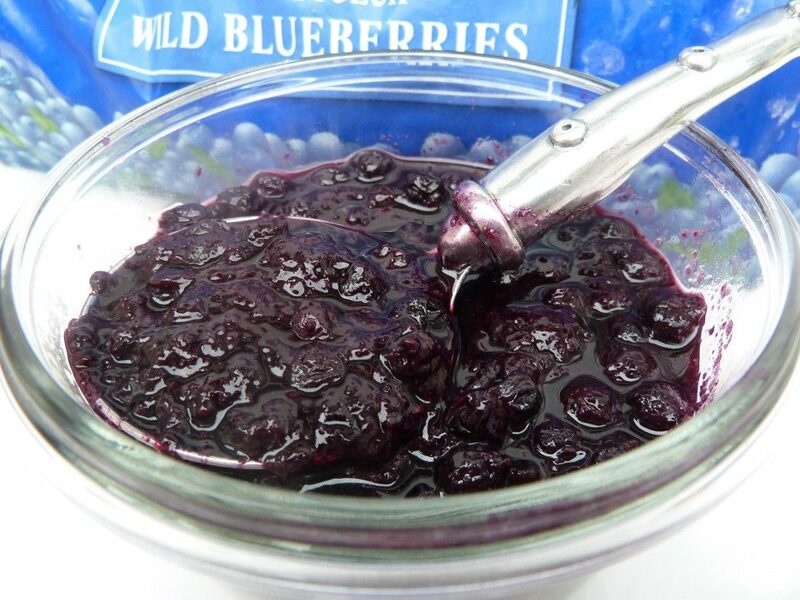 Fruit either chopped, sliced, puréed or cooked down to syrup is the best way to sweeten foods. All the thousands of nutrients in fruits work together synergistically to improve our health in ways we don’t fully understand. Eating real fruit in Mother Natures’s package every day, no matter your age, truly makes you healthier and is still a better choice than maple syrup. For instance, I often make a quick fruit syrup for the whole grain pancakes, waffles, French toast or crepes I serve rather than even real maple syrup. If the fruit sauce needs more sweetening, I use maple syrup as my go-to sugar choice. 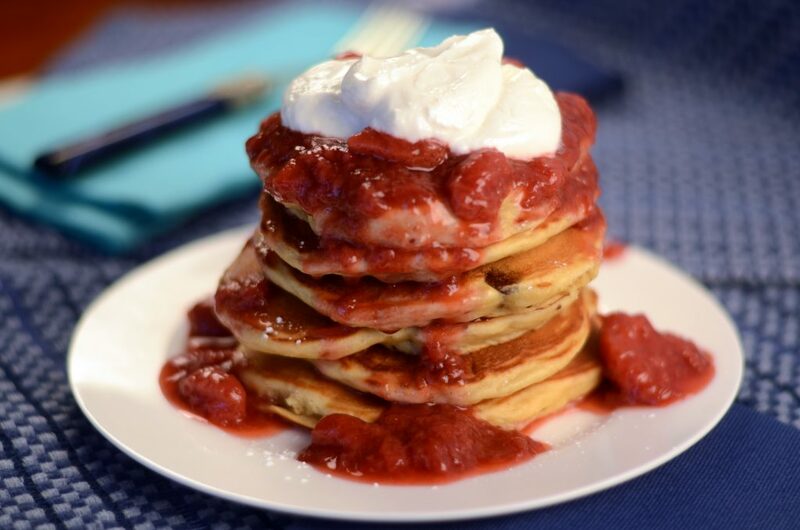 If a fruit isn’t an option, pure maple syrup (not commercial pancake syrup) is a better choice to sweeten food over sugar or processed honey, corn syrup, brown rice syrup, brown sugar, or agave nectar. 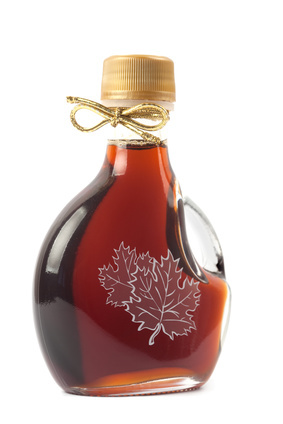 Maple syrup contains manganese, zinc, potassium, and disease-preventing phytonutrients. Maple syrup is also rich in polyphenols, which inhibits the conversion of carbohydrate to sugar, and fights inflammation. Pure maple syrup is a natural sweetener that raises blood sugar more slowly than sugar to help avoid that rush of insulin that puts our fat cells in grow mode rather than burn mode. Contrary to popular belief, maple syrup grades merely indicate characteristics, not quality. The only differences between the types are the color and taste. Syrup made from sap gathered early in the season has a lighter color, while syrup made later, when the weather is warmer, is darker. So the darker the syrup, the stronger the flavor. Choose a maple syrup you like regardless of its grade and use that instead of table sugar, corn syrup, processed honey, brown sugar, agave nectar, or brown rice syrup when fruit isn’t an option. I use pure maple syrup instead of sugar whenever fruit doesn’t do the job. I throw a bit of maple syrup in my plain Greek yogurt, vinaigrettes, oatmeal, fruit sauces and syrups, and almost any recipes that call for sugar or honey. Maple syrup offers a delicious taste to those Thanksgiving favorites like sweet potatoes casserole, apple desserts, and pumpkin pie. We need to make a shift from processed, refined sugars to sweeteners found in their whole, natural food forms. 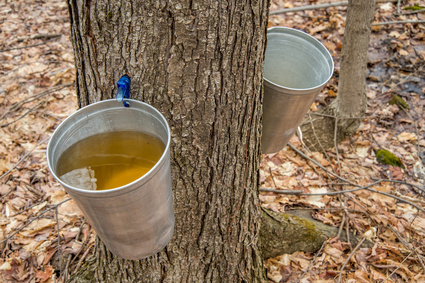 Real maple syrup tapped from trees may not provide as many nutrients or as much fiber as crushed fruit does, but is a better alternative to processed sugar and processed honey. It’s a lot easier to use than raw, unfiltered honey that is also another healthy sugar option behind fruit. Take my November 2016 Healthy Challenge to eat more fruit daily and to use pure maple syrup instead of processed sugar when fruit doesn’t do the job. Accept this challenge through Thanksgiving for a healthier holiday. I promise you will enjoy your food more and feel better without processed sweets. Sweet, succulent peaches are healthier than we realized. Full of phytonutrients that may fight obesity, type 2 diabetes, heart disease, and cancer, peaches may be much more than just delicious. The widely used and loved spice, cinnamon, seems to be a major superhero in fighting disease and promoting our health. It's just the inner bark of a Cinnamomum tree, yet has been highly valued for centuries as both a medicine and a spice fit for kings. Only a half teaspoon of cinnamon per day can help fight disease, promote our health, and maybe even help us think better. It's an easy and delicious fix!